I picked up the first issue of this series not because I’m a Smallville fan but because I like Bryan Q. Miller’s writing and I enjoy reading Lois and Clark together. Since they’re not romantically involved anymore in the regular DC universe, this is the only place I can go. I liked the first issue enough to buy #2 and now I’m hooked. This issue concentrates on Lex Luthor, filling in details from the last season of the show that I’d missed and setting up the mystery of whether the sister he apparently murdered is really dead and haunting him because he killed her or whether he’s suffering from some mental ailment due to the incident in which he lost his memory. The issue concludes by showing just how far Lex is willing to go to get information on Superman and has a timely reference to a private space vehicle. For those unable to wait for print, digital issues are available for 99 cents each at Comixology. A few weeks ago, I saw Teenage Mutant Ninja Turtles Vol. 1 at my local comic book shop. Ever since, I’ve been looking at my Comixology app almost daily to see if a digital version has become available. One day, I finally saw them sitting on Comixology’s front page! Since TMNT were some of my favorite characters as a kid, I was eager to see what this story was about. From the beginning, I could tell the origin of my favorite turtles was going to change. One of the things that caught me off guard though, was their masks. Instead of being a different color for each turtle, it looked like there were four Raphael’s running around. I couldn’t tell them apart. Since this is only the beginning of their lives together, I’m going to go out on a limb and assume that will change in time. The Turtles were not the only ones who had changes made to their origin. April O’Neal and Casey Jones both had their stories altered a little. In this storyline, April is lab assistant where the turtles were kept. Casey lives with his drunken dad who beats him up all the time. Instead of being adults, both April and Casey are in college. The main villain is not Shredder, but instead a cat named Old Hob, who was also transformed by the same mutagen that brought The Turtles to their current state. With revenge on the mind, Hob viciously attacks The Turtles every chance he gets. It was nice to see that Master Splinter is just how I remember him and that each of the turtles managed to retain their individual personalities. 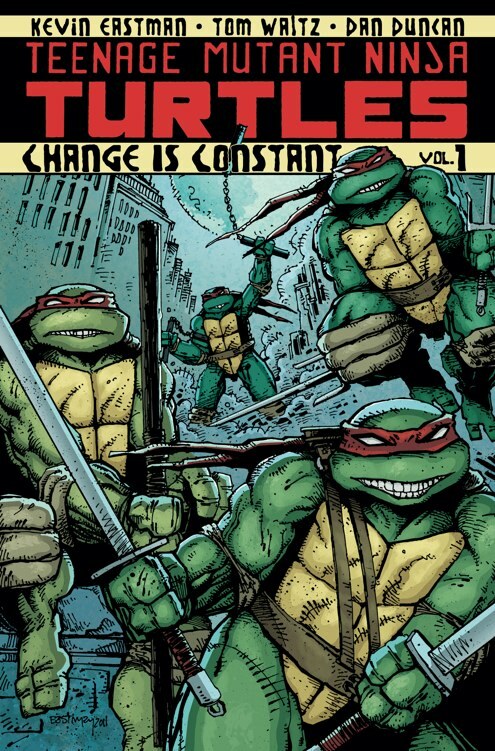 Leo is still the leader, Mikey is still the eater and fun-loving one, Donatello is the smart one and Raphael has that bad attitude that makes you love him even more. By the end of the issue, I was cheering for more. With the right amount of action and heart, this series has been added to my humble list of comic book subscriptions. You can check out Teenage Mutant Ninja Turtles at your local comic book shop, Comixology or the iOS exclusive Teenage Mutant Ninja Turtles Comics App. I received a review copy of this title. Even though I received this benefit, I always give an opinion that is 100% my own. 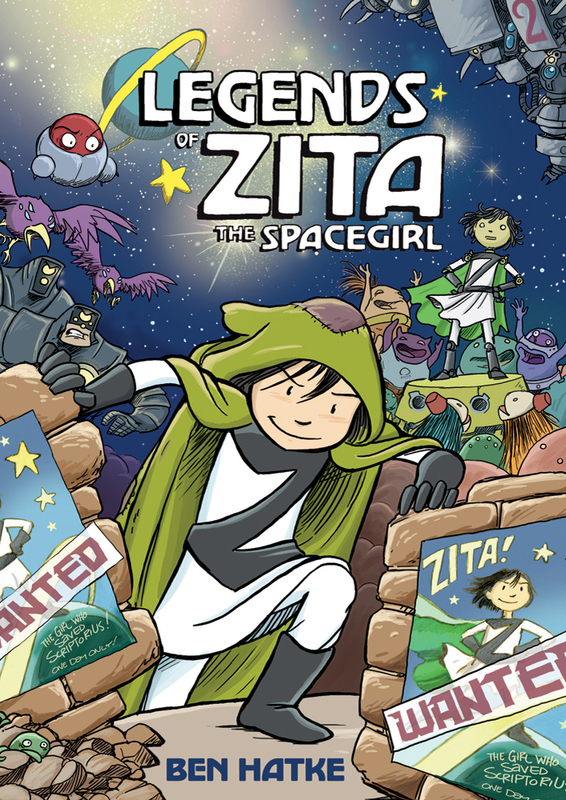 Legends of Zita the Spacegirl by Ben Hatke, follows the continuing adventures of Zita: a human girl who, while trying to save her friend, saves a planet in another galaxy. In this book, Zita is sick of being called a hero, and just wants to have some fun again. It seems too good to be true when a robot that looks like her takes her place for a day. It is too good, the robot takes over her life, leaving Zita with only Pizzicato, her faithful mouse steed, to help her get back to her ship. Along the way, they meet new friends, have exciting adventures, and find out what a true hero means. I heartily recommend Legends of Zita the Spacegirl . This is a story for ages 7 and up (I base this on my six year old niece who is scared of almost everything.) I received this copy free for review purposes. ← Georgetown Cupcake Opens In Boston!